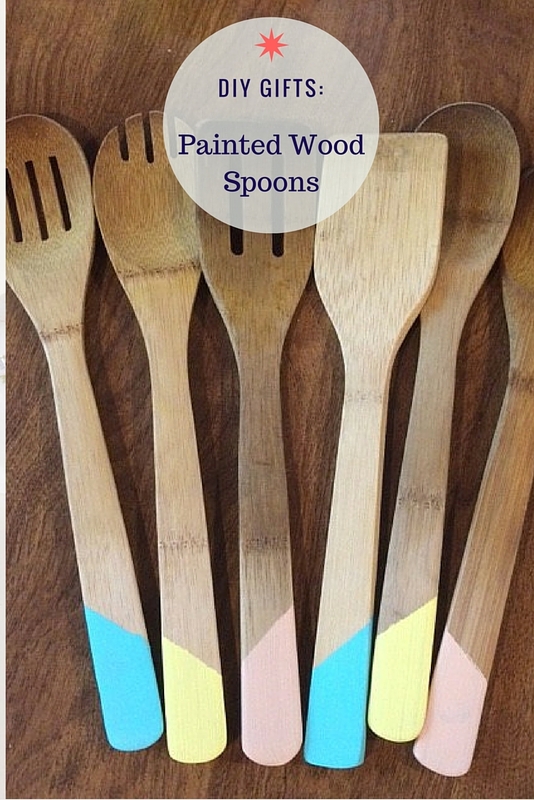 For today’s DIY gifts idea learn to make these super easy painted wooded cooking utensils. This is a beautiful way to add a splash of color in any kitchen. It’s not much work at all and the longest part is just waiting for the paint to dry. 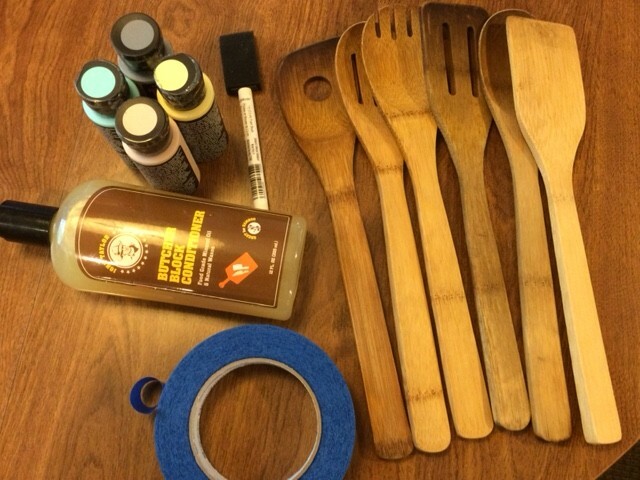 I picked up all my materials from Micheal’s (except the spoons and wood conditioner). The great thing about Micheal’s is that you can usually find 40% off coupons (I post them every week here) plus when you shop there they will give you one to use next time. As for the wooden spoons you can usually find a set of them for pretty cheap at Walmart or even better search thrift stores. 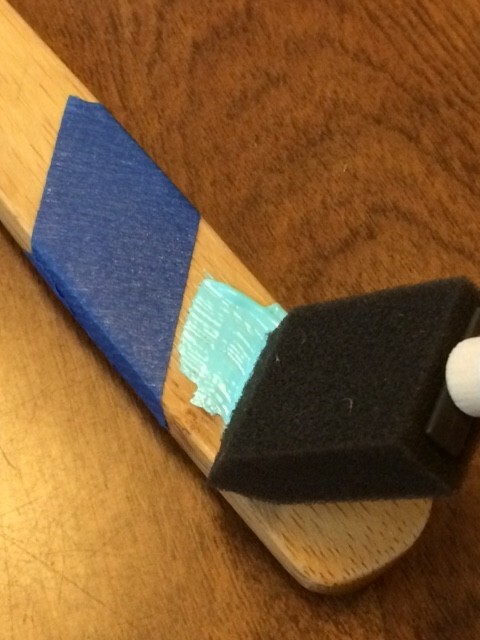 Use the sand paper to rough up the finish of the handles, this will allow the paint to not peel off later. Add the tape wherever you like. I decided to go for an angled look. I also chose to not go too far down the handle to make sure the painted part would not touch any food. Paint them with any color you like. You may need to add 2 coats, allow it to dry at least 1 hour between coats. Let them dry overnight. 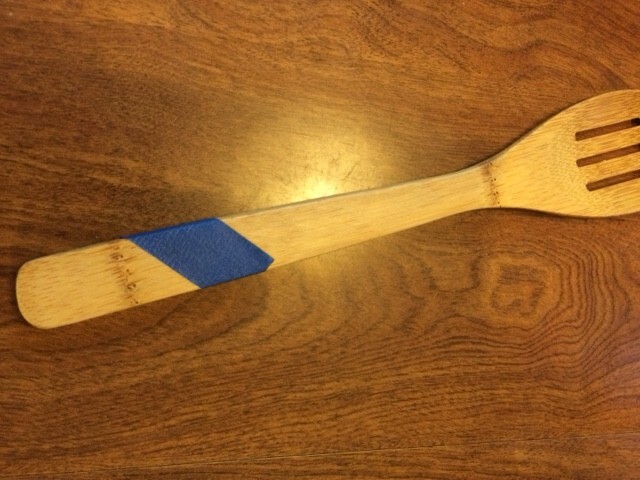 You will then apply the food safe wood conditioner to help protect the color and and bring out the natural wood grain (follow the directions on the bottle for how long to leave on the conditioner). Note: You will need to hand wash these, and be mindful of the painted area because it could melt or chip off. 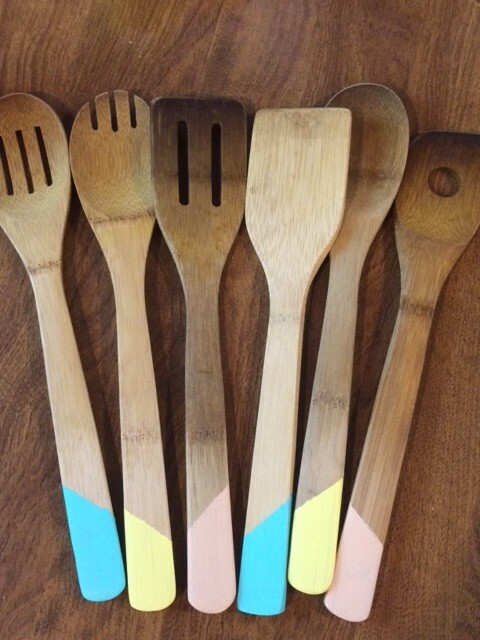 You will be left with renewed and beautiful wooded cooking spoons. These would make a wonderful bridal shower, housewarming or Christmas gift!